At Prodaptive Medical our priority is the safety and well-being of healthcare providers and their patients around the world. We know that the threat to global health is real and the threat to you and your patients is is real, that’s why you use PPE. The STAL is not just another layer of PPE. It is protection for PPE. By using the STAL Shield you are able to completely focus on your work, have better control of your environment and spend more time providing care – less time and money cleaning up. Or worse, spending tens of thousands of dollars treating patients for preventable HAIs. From our own experiences and thoughtful input from medical staff, we have a good understanding of the challenges healthcare-workers face every day. We are proud of the proven reliability, effectiveness and cost / benefit potential of the STAL Shield. With costs constantly rising in healthcare, we know how important the cost-benefit ratio is to your bottom line. While it’s difficult to prove a false negative it is easily argued that time = money. From there it follows that if less time is spent on a particular task, less money is being spent on the labour of facility support and return to service. Equally, with a shorter turn-around of patients, staff and facility availability, less expense is generated and more income realized. Speaking of staff, some are involved in many HAI’s every working day, exposed to a variety of pathogens and perhaps several strains of any given ‘bug’. From a strictly financial perspective this is a liability no business can afford. From a leadership role perspective providing the best protection available for your workforce is not only a moral imperative but promotes better morale and worker dedication. The STAL Shield retails for about the cost of 4 minutes of an RN’s time. Real downstream costs are variable and incalculable but we know for sure that here, as in most situations, an ounce of prevention is worth many pounds of cure! With fines being levied and government support drying up for treatment of HAI’s, the STALs “ first strike” prevention makes more sense now than ever. At Prodaptive we care about humanity’s health and safety and, the Earth’s health and safety as well. We are proud to recognize many of the ecological benefits of using our patented bio-hazard management technology. By significantly reducing the contamination spread from AGP’s we are decreasing the bio-hazard load on the environment. 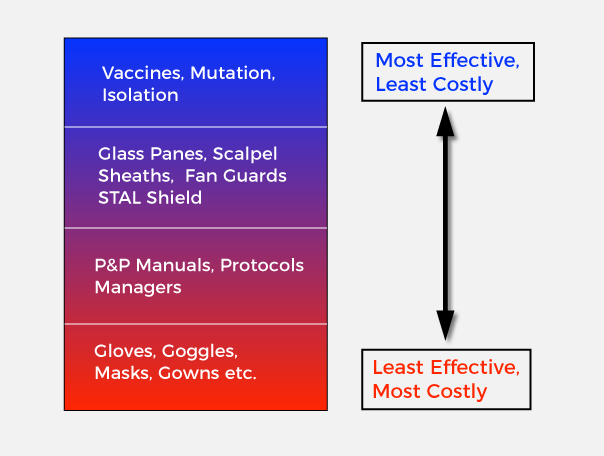 In some procedures bio-hazard and contamination capture by the STAL Shield using Prodaptive’s unique and simple techniques is nearly 100%. The extent of laundry contamination and cleaning is greatly reduced. Water consumption and quality are affected repeatedly. With less contamination spread there is less water used in cleaning. As well, less toxic cleaning agents are used, so less contaminated water is generated and less downstream fresh water polluted. It is well documented that accumulations of contaminants and antimicrobials left in contact on surfaces lead to the enhanced evolution and mutations enhancing a pathogens resistance to those very medications designed to combat them. Our next generation STAL will contain approximately 30% less plastic, cast in a streamlined manufacturing process requiring much less energy and zero mold trimming waste. 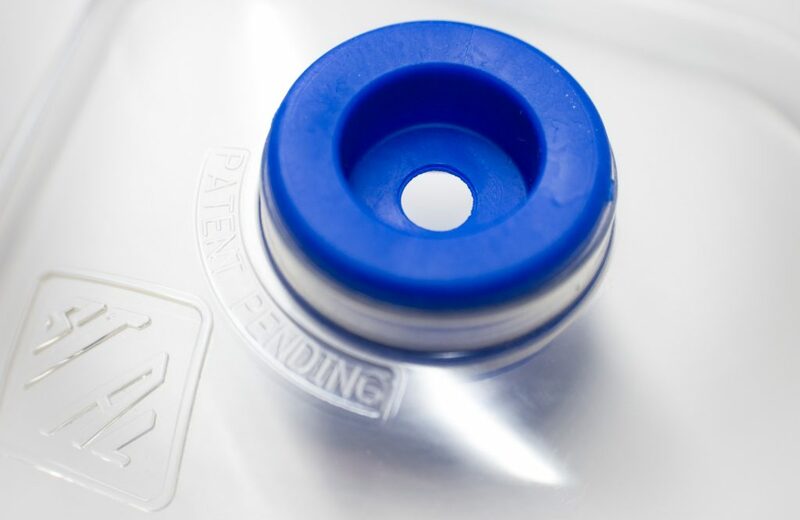 Though no medical plastics are recycled the isolating benefits of the STAL on instruments such as the Yankauer suction catheter help ensure a reduction in cross contamination and preventable wastage. Just a few of the ways Prodaptive is “Making Good Better”. 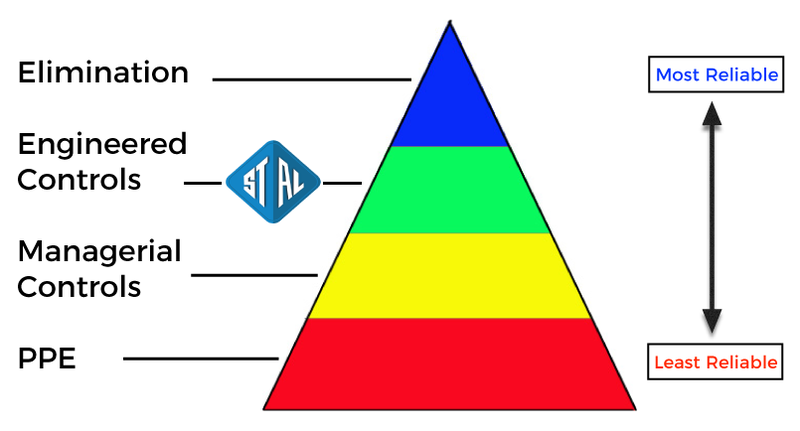 When you’re using the STAL Shield, be assured safety and effectiveness are designed at its very core. We’ve downsized the grommet’s portal providing a more secure grip on instruments. Other improvements are ongoing. 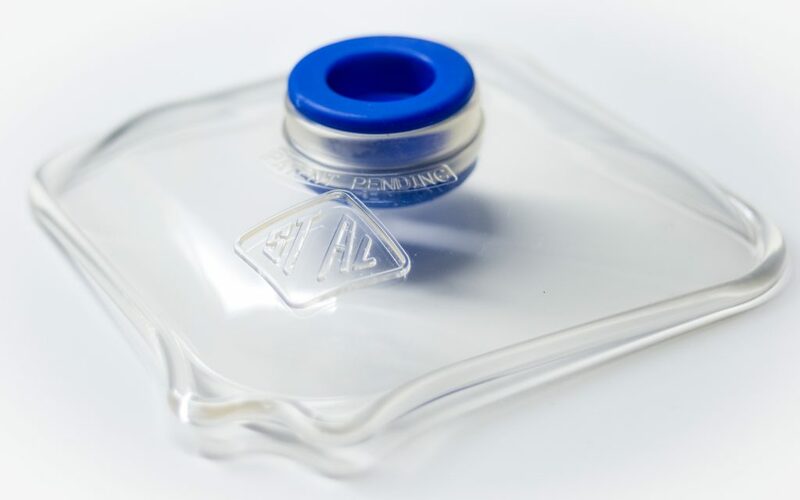 Whether it’s the high-quality material and visual clarity of the shield, its un-equalled effectiveness and provision of personal safety, we are very aware that tackling such a huge task as global HAI’s begins with each patient encounter. The STAL has your back. And front, sides, environment and facility’s health well covered.